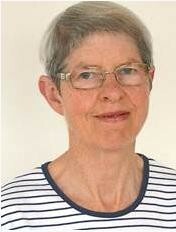 Dr Rosemary Mason, the author, has had a longstanding interest in conservation, and was former Chair of the West Area, Glamorgan Wildlife Trust. She had worked for the National Health Service for 35 years as Consultant Anaesthetist to West Glamorgan Health Authority, authored Anaesthesia Databook: A perioperative and peripartum manual, Edns 1989, 1994 and 2001, Cambridge University Press, served as Assistant Editor of Anaesthesia 1990-2000, and was awarded Pask Certificate for Services to Anaesthesia 2001. Rosemary now lives in South Wales with her husband Palle Uhd Jepsen, former Senior Adviser in Nature Conservation to the Danish Forest and Nature Agency. Read her article and references in full on the ISIS website. In March 2006, UK’s Natural Environment Research Council (NERC) announced the closure of its wildlife research centres, a decision opposed by 99% of 1 327 stakeholders. Monks Wood centre, which hosted BBC’s Spring Watch, pioneered work on DDT and pesticides in the 1960s, and more recently revealed how climate change is affecting wildlife, with spring arriving three weeks earlier. The research centres were also involved in assessing the impacts of GM (genetically modified) crops on wildlife, with findings contradicting industry claims that no harm would be caused. In response to that and to the unexplained disappearance of birds and invertebrates (such as bumblebees, honeybees and other pollinators), we set aside one acre of the field next to our house in South Wales to make a chemical-free nature reserve. To begin with we had considerable success. We photographed many insects that were clearly benefitting from wild flowers, often insignificant ones, which supplied nectar and pollen resources but which had been eliminated from many conventional arable fields. The reserve also provided larval food plants for several species of moths, butterflies and bush crickets . . .
After observations made during the summer of 2009, we published a photo-journal: Speckled Bush Crickets. Observations in a small nature reserve  (see Box 1). On 10 February 2010, Dr David Robinson, who is studying the behaviour and acoustics of Leptophyes punctatissima (Speckled Bush Crickets) at the Open University, said: “I think that it is probably the first time anybody has produced a book about a single species.” He gave a copy to Dr Judith Marshall, who is the British expert on grasshoppers and crickets at the Natural History Museum . . . In 2006, we had commissioned an overnight moth count  from a professional naturalist. The next morning at about 6 am when he emptied the traps, he recorded (while we photographed) 143 species of moths, attracted to the bright lights from a wide radius. Some species trapped were in numbers up to 500. We were astounded by the variety of species and asked if it was to do with the sunflowers which we had grown in the field as a winter crop for birds. No, he replied, it was because we weren’t using pesticides and we had allowed the small wildflowers to flourish. In 2013 we asked him to repeat the count. He confirmed our worse fears, the biodiversity had declined. He counted only 51 species and the maximum number of the same species was 50. By August 2014, a naturalist friend with a reserve 3 miles away had stopped doing moth counts. He said there were so few that it wasn’t worth the effort. Following the recommendations by Monsanto, farmers had been using glyphosate as herbicide throughout the crop growth cycle; and at the end they were also desiccating (drying) or ripening crops with glyphosate sprayed about 7-10 days before harvest. So, some of us in Europe are receiving glyphosate residues in all our non-organic staple foods, such as bread, cereals, potatoes, pasta, pulses, rice, sugar, beer, whisky, etc. and many foods from the US made from corn or soya (mostly GM). Not only that, a collusion between UK’s PRiF, European Food Safety Authority (EFSA) and Germany as Rapporteur Nation for European Union with Monsanto led to a 100-fold increase in the permitted glyphosate levels in lentils “In order to accommodate the authorized desiccation use of glyphosate on lentils in the United States and Canada” without consultation with European Parliament or the public. Some additional sources of glyphosate in South Wales: use on streets and pavements, Japanese knotweed, bracken and rhododendron . . . People and wildlife are exposed to unprecedented and still largely unknown levels of what is now known to be a highly toxic herbicide. In August 2013, when the Roundup spraying season was into its 5th month, we commissioned BioCheck to measure glyphosate in tap water and river water. This is a company attached to the Veterinary School in Leipzig where the Department, headed by Prof Dr Monika Krüger, had been doing glyphosate levels in the urine of pigs, dairy cows, chickens and farmers (they all had increased levels in their urine, in particular cattle with chronic botulism). The level of glyphosate in one Welsh river draining from areas of Japanese knotweed spraying was 190 parts per trillion (ppt) and in local tap water was 30 ppt. These were of the order of concentrations found in a study in 2013 which showed that breast cancer cell proliferation is accelerated by glyphosate in extremely low concentrations: “The present study used pure glyphosate substance at long intervals from 10-12 to 10-6 M. These concentrations are in a crucial range which correlated to the potential biological levels at part per trillion (ppt) to part per billion (ppb) which have been reported in epidemiological studies.” In the UK the incidence of breast cancer has almost doubled between 1975 and 2010. Chemicals Regulation Directorate (CRD) admits to the widespread use of Amenity Pesticides but fails to monitor them. CRD had commissioned Risk & Policy Analysts in association with Britt Vegetation Management to undertake studies on the usage of amenity pesticides. In 2010, none of the questionnaires were returned by the contractors or councils in Wales or Ireland . . . Analysis in local tap water in August 2014 revealed a 10-fold increase since August 2013; from 30 ppt to 300 ppt. If Roundup(r) continues to be sprayed in the same quantities (whatever they are), this area of South Wales will become a biological desert. At the same time, glyphosate-resistant Japanese knotweed has appeared in August 2014, regrown after spraying early in 2014 . . .
Unsurprisingly, GTF’s evaluation of peer-reviewed literature regarding ecotoxicity also broadly concluded that glyphosate is not harmful to the environment. We strongly challenge this conclusion; we believe glyphosate is likely responsible for destroying biodiversity in our small nature reserve in South Wales. Media manipulation – 20: has the BBC joined the renewed corporate-political drive to impose GM crops?